This week I had a chat with Harun from Jerry Bottle. 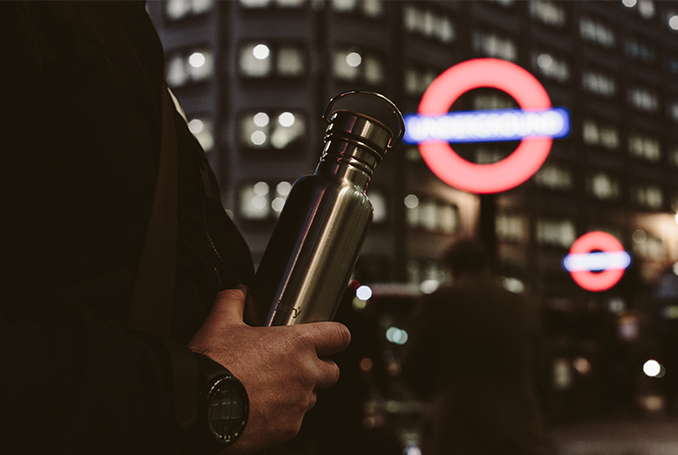 A Social Enterprise, Jerry Bottle produce re-usable and eco-friendly water bottles campaigning against plastic pollution, but they are a brand that do more, ensuring that all profits provide funds towards clean water projects. Q: What is Jerry Bottle? The Jerry names derives from Jerry Cans the big plastic containers you see people carrying all over all over Africa to transport water from wells and water sources to their homes. The name gives a personality to the brand. 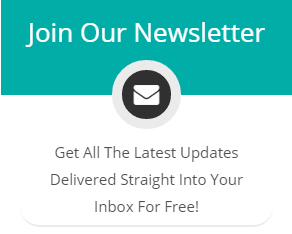 We set up as a social enterprise as ultimately all profits go towards clean water projects in India and Africa whilst campaigning closer to home on one time plastic pollution and also to encourage people to drink more water for health and hydration. Q: What’s the story behind the brand? I set up waterfall charity in 2011 and after meeting Tobias, I learnt about social enterprise in how you can trade as a business and make profits which can generate funds for the charity work, instead of just appealing for donations. 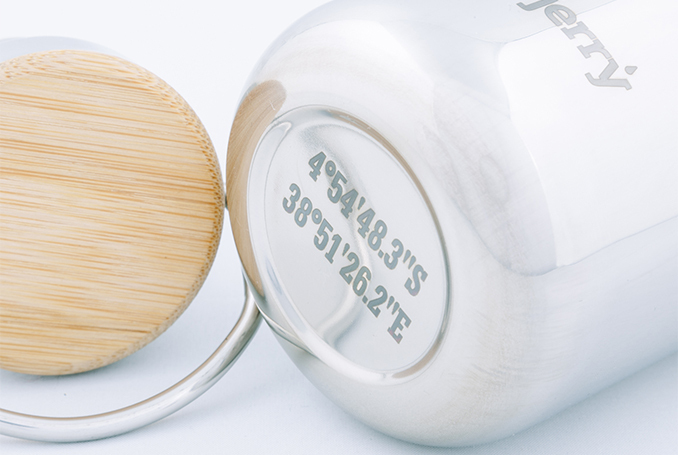 On the bottom are coordinates of a water project, so you can trace back exactly which village your eco-water bottle is funding. The natural link between a water bottle and a jerry can, both transporting water, along with the profitability of the bottle seemed a good commercial decision. We have put coordinates of our water projects on the bottom of our bottles so people can trace where our profits are going, social enterprises need to be more transparent as we are not for profit and are interested in social outcomes. Q: Obviously aside from the charity aspect, the environment plays a big factor behind your brand, what does plastic pollution really mean for our future? If we ignore the problem of one-time plastic pollution problem then we are on a road to self-destruction. With rivers and seas having plastic floating around, hugely affecting the sea life and ourselves, the plastic ultimately contaminates the water and comes back through our taps affecting our health, with plastic usage in food and drink leading to many diseases. Q: What’s Jerry Bottle’s proudest achievement to date? We were invited by a Malaysian Government to talk about social enterprises, we have been endorsed by Lucy Siegle of the Guardian a leading journalist on environmental issues AND we were voted one of the coolest products in the world by GQ Magazine, so a few achievements(!). Q: What’s your advice to someone wanting to make changes to their lifestyle but not sure where to start? Take small steps to change your habits and lifestyle for example by increasing your water intake it will benefit your health, by drinking out of a sustainable reusable bottle will save many onetime plastic bottles ending up in landfill or the oceans. 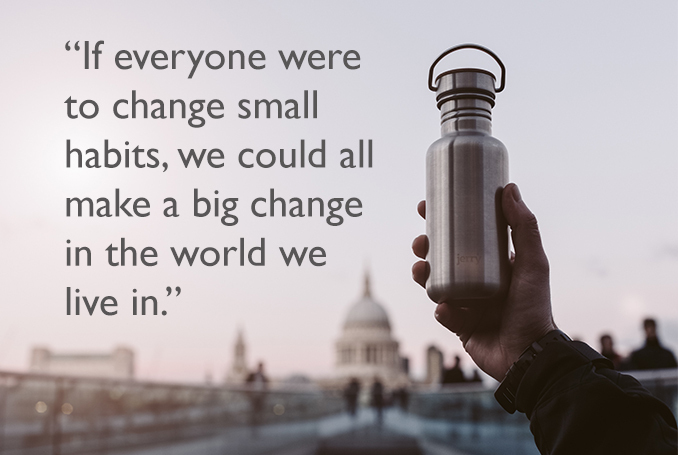 If everyone were to change small habits, we could all make a big change in the world we live in.